Standing strong for traditional family values is not fascism, as the mainstream media often insinuates, but merely a concern for the future of humanity, Aleksey Komov, of the World Congress of Families (WCF), has told RT. Liberal media, spurred on by hate-mongering “watchdogs” like the Southern Poverty Law Center, have lost their collective mind over the 13th WCF meeting that took place in Verona, Italy in late March, labeling the attendees “far-right” and “neo-Nazis” who attack women and roll back the rights of sexual minorities. Hard to believe but the first stone church was built by the East Slavs more then 1000 years ago. 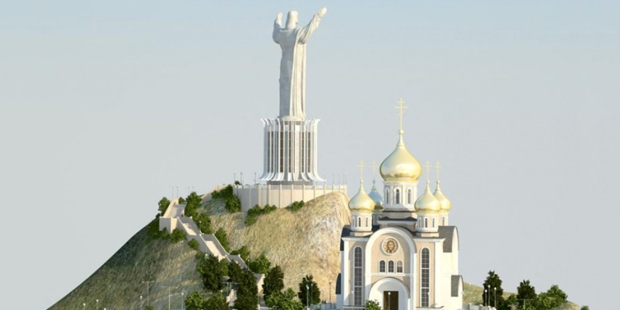 Church of the Tithes was presented in Kiev, the capital of Kievan Rus, the ancestor of modern Russia on May, 12, 996. The majestic Byzantine-style cathedral had an unlucky fate: it did not survive the Mongol invasion of the XII century. The church was reconstructed in the XIX century but then again destroyed by the Bolsheviks in 1935. With a straight face, the power brokers of the US government say they want to bring democracy to Venezuela. Never mind that Venezuela is already a democracy, and its socialist leaders have been reelected repeatedly. If you believe the MSM (Main Stream Media) and US government narrative about Venezuela, then this video interview with Daniel McAdams of the Ron Paul Institute on the Corbett Report, is not for you. If you’d like to hear a well reasoned analysis, you’ve picked an excellent analysis of what’s going on in Venezuela. The situation in Venezuela is volatile and subject to change, but the history of regime changes by the US, elaborated by Daniel McAdams in this interview, are remarkably similar. Whatever the fate of Venezuela, this interview will provide a good foundation for understanding future US regime change operations. You, too, will be able to spot them from 1000 miles away.